Dear Visitor! Welcome to our site created by HR/HM collectors for everyone like us. 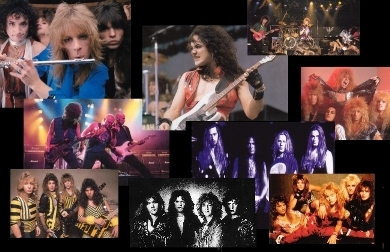 If you admire 1970's hard rock pioneers, this site is for you. If you remember the rise and fall of NWOBHM, this site is for you. If you have seen all those hairy bands in the heyday of their glory, this site is for you. If you love modern metal music in its entirety, this site is definitely for you! We welcome anyone who has the dare to believe that heavy metal is for real. And that's what we specialize in - HR/HM stuff made in Japan. Once called Mecca for heavy metal fans, Japan still stands for it. So if you're a metalhead building your own collection or a CD hunter looking for something unique, go ahead and browse through Deleted But Not Forgotten site, the place that gives metal artifacts a second birth. Hope you'll like it!